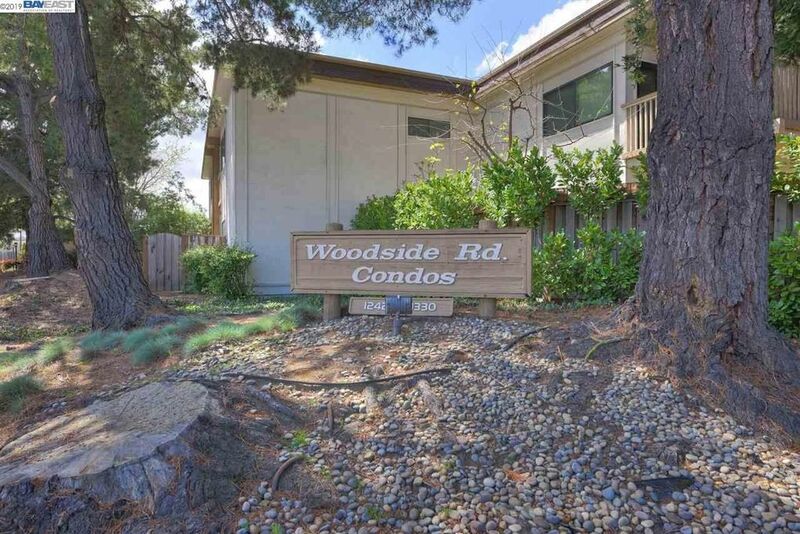 Quiet location in back section (away from the road) of beautifully landscaped and desirable Woodside Plaza complex with pool/spa and clubroom. IMMACULATE/WELL CARED FOR GROUND FLOOR END UNIT 2 bed, 2 bath with additional den/office off entry. Living room with gas Fireplace. Large front deck and enclosed approx. 60 SF patio room and deck in rear. 2 DEDICATED covered parking spaces plus storage cabinets. Laundry with full size units. Master with large walk in closet. HOA pays hot/cold water, sewer, exterior maintenance and earthquake insurance.